Anytime we have an opportunity to share our ideas and expertise, it is definitely something we should take advantage of. Blogging is not only a popular pastime for some, it’s also a way to communicate on a broader and expert level with our customers. It’s said by many that writing is hard. Yes, it’s true that it can be challenging. Like anything, it involves time, effort and practice – not to mention patience and coffee. 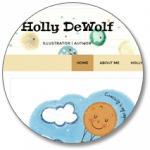 Beginner posts should start off simple, uncluttered and written in your own voice. Writing in your own voice helps keep it authentic, genuine and consistent with the way you speak in person with your audience. Over time, this will become your natural style. Blogging helps you get discovered online on a wider scale. Every time you write a blog post, you’re creating content that people will want to share on their social networks – Twitter, LinkedIn, Facebook, Instagram, and Pinterest. All this exposure can lead to a new audience that may not know about you yet. Your consistent blog posts will help keep your social media presence going because it can serve as a continual repository of content. Because familiarity gets attention, this consistency will strengthen your social reach by driving new website visitors to your blog via your social channels. As an added bonus, your blogging efforts will give you another way to generate new leads by creating a call-to-action. You can create posts that come with free white pages, pdfs, fact sheets, tip sheets, webinars, Q&As or anything else you want your content to offer. You can post about new products, their benefits, and/or upcoming sales to classes and seminars. Even if you are a small business, you can build trust and a great reputation online within your industry. This can be achieved by providing valuable and expert information in your blog posts. The more you blog about a topic, the more likely you will eventually become a “go to” resource for helpful and informative content. This will ultimately lead to higher customer interaction. This is especially important for small businesses looking to gain credibility to compete with larger companies. Search engines like Google love fresh new content. What better way to provide frequent information than with blog posts. By blogging consistently, you give Google and other search engines new content to index. The more you write, the more opportunities you have to add those all-important keywords to increase your visibility on search engine pages. Blogging is one of the best ways to connect with your audience. Through your blog, you can ask questions or invite feedback at the end of your article. This gives you a chance to review and respond to your readers thoughts and observations. By doing so, you can create a rapport with them by building trust while gaining valuable insight into what your customers are looking for. 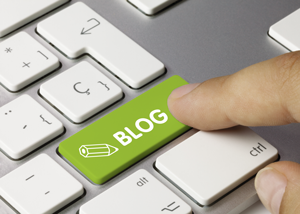 One of the easier ways to show a personal side of your business is to write blog posts. Your unique perspectives will help draw in new and current customers in a much different way outside of using traditional marketing techniques. Blogging gives your audience a sense of the corporate standards, vision, humor creativity, and personality of your company. This will push your brand forward. Every time you post to your blog, you create an opportunity for your audience to share your information with others. When they link to your blog post, tweet it, or email it to others, it’s free marketing for you and it helps build your online presence. As you build your online reputation, others may want to work and collaborate with you in the future. There is something to be said about being everywhere. If you stay professional and offer a great resource, others will see that and want to be part of what you do.